Like it or loathe it the Hollywood reboot machine is alive and well and this time it’s the turn of Robocop. Almost 16 years after the original movie blasted its way on to the big screen the first trailer for Jos Padilha’s brave re imagining was met with the usual chorus of complaints from fans lamenting the decision to resurrect one of the all time great science fiction heroes for a new generation. Starring relative unknown Joel Kinnaman in the role made famous by Peter Weller, Robocop 2014 sees all round good guy and straight laced cop Alex Murphy severely injured in the line of duty and harvested for parts to become Robocop the so-called future of law enforcement. Whether you’ve taken to the internet to voice your opinion of the new ‘black suited’ Robocop or not you have to admit that no matter how badly the franchise may or may not have been handled yet you only have to look back at the long history of the character on screen to see that with the exception of the first 2 movies this wouldn’t be the first time Hollywood has thrown Robocop to the wolves. In fact the reboot would have to be pretty horrendous to come anywhere close to the appalling efforts of 1993 s second sequel or the live action TV series that pretty much sucked any remaining cool from the series and deposited it in the proverbial toilet. So with that in mind let’s take a look back over the 16 year history of Robocop and how the character made so famous in Paul Verhoeven’s 1987 classic has fallen so spectacularly from grace. Will the reboot be Robocop’s salvation? We’ll all find out when it hits cinema’s in February of next year. 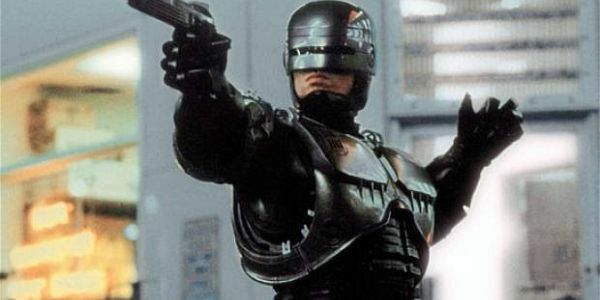 The post Robocop: The Evolution Of Paul Verhoeven’s Classic In 7 Trailers appeared first on WhatCulture!. Ah, TV love. It can be quite spectacular, thought provoking, and uplifting. OR, not. You’re watching your favorite show, enjoying the thrills and chills of the story, sometimes thinking to yourself “nah, the writers won’t bring those two together, it’ll be terrible”, and you naively spend your days oblivious to what’s just around the corner. Then suddenly, the coupling. You go crazy, yelling up at the TV gods yelling out “WHY?? ?”, break stuff, eat ice cream to drown your sorrows. The next phase is denial. – they’ll fix it. It’s just temporary, it’s just to help the story. But they don’t. They just don’t. It just goes on and on, sometimes it’s so bad it turns into a “jump the shark” moment. we begin, quite naturally, at the bottom of the barrel. Is this even called a TV couple? I hated both their faces as soon as they came on the screen, watched that first season when everyone cried and there was some story about a tape…. oy. Awful. These two went from boring to scary to simply un-watchable. Why? Why, TV powers that be? Surprisingly, these two are still together. One of them looks like a weird cartoon character, but I think her insides are still human, so technically the couple is “going strong”. If by going strong you mean, one is controlling the other, and looks like a creepy hobbit. They were fascinating to watch because you couldn’t believe they were real. Could someone really want to expose their lives in that way for everyone to see? How could she stay with him through all the sh*t he put her through? Why would a stunning, sweet girl get plastic surgery to look like a messed up Barbie? Can fame REALLY be happiness? 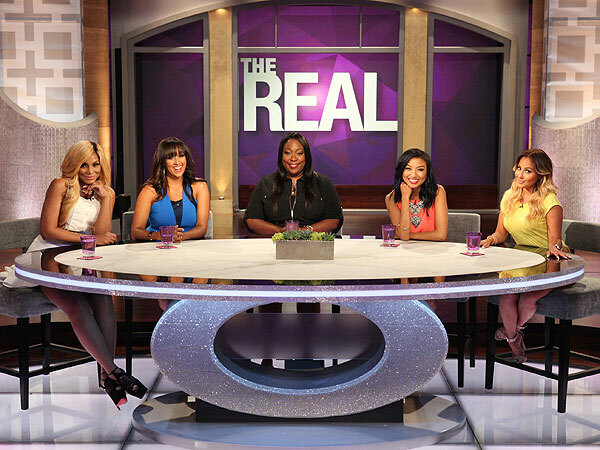 For me, someone who fame has never appealed to, I used to watch this show in awe, perplexed, like Animal Planet. It was a new kind of specie I never saw before – the over exposed, power hungry youths that would do anything for their names in the tabloids. Anything. The post 10 TV Romances That Made Us Feel Ill appeared first on WhatCulture!. FIFA 14 Updated Cover – Gareth Bale In Real Madrid Shirt Replaces Spurs! The publishers of FIFA 14, Electronic Arts, have updated the box art of the upcoming football simulation title to feature Gareth Bale in a Real Madrid shirt. The 24-year-old was formerly depicted in the colours of Tottenham Hotspur on the front cover of the game, the club he left for Madrid in a world-transfer record deal earlier this summer. The change means there are two La Liga stars depicted on FIFA 14 s cover, with Lionel Messi of Barcelona starring alongside the Wales international. For the first time ever in the long-running FIFA series, there will be no Premier League stars represented on the box art of the popular game. The change makes a lot of sense considering the necessity to keep things current, while EA had previously ruled out dropping Bale as their cover star following his switch to the Spanish capital. Bale joined Madrid for a fee rumoured to have been around the 85 million mark, making him football’s most expensive player. And though the cover of FIFA 14 has now been updated to feature him in the colours of his new club, fans can still see the former Southampton ace in a Spurs shirt in the official demo, which launched on PS3 consoles today. fifa 14 is set for release in America on September 24th and in Europe on the 27th, and will launch on old and current gen consoles PS3, Xbox 360, PS4 and Xbox One. The post FIFA 14 Updated Cover – Gareth Bale In Real Madrid Shirt Replaces Spurs! appeared first on WhatCulture!. Eaglemoss is back with a new figurine collection. After the success of The Classic Marvel Figurine Collection they are now hitting us up with a whole series dedicated to Doctor Who. At the moment we can expect to find 80 classic and contemporary Doctors’/Allies/Companions and Villains found throughout the 50 years of the shows history. Each figurine is detailed, scaled at 1:21 and made out of a hand-painted metallic resin. The magazine explains how the character has evolved and gets an inside look behind classic moments. Within is the moment the figurine is set upon, a look back at 50 years of Doctor Who starting from the very beginning and an in-depth profile of essential elements of the Doctor Who universe (or for the nerdy among us, Whoniverse). Part one is in the form of the eleventh Doctor Matt Smith. The first figurine in this collection is based on Matt Smith’s take on The Doctor in the episode ‘The Pandorica Opens’. The stance is based on the scene where The Doctor is standing on the central monument in the middle of Stone Henge giving an award winning speech to many of his enemies orbiting above him. First of all the detailing on the clothing is superb. His jacket, shirt, trousers, braces and of course his bow tie are perfectly represented. Particularly the buttons on his shirt and the buckles for the braces are so excellently executed, considering they are really a minute detail. The hair has the typical Matt Smith flop and although some of the flesh coloured paint has slightly overlapped into it, it’s still a great representation. Unfortunately the face isn’t the best. Although you of course recognise the character right away, on close inspection the face doesn’t match up to Matt/The Doctor himself. Of course I understand that capturing the face on a figurine this size can’t be easy. And obviously with each figurine you may get a better or worse take on the character with each one being hand-painted. The post The Doctor Who Figurine Collection – Issue 1 Review appeared first on WhatCulture!. Josh Duhamel is no stranger to the spotlight, but the ability to blend back in with the crowds still isn’t completely out of the question for the actor. 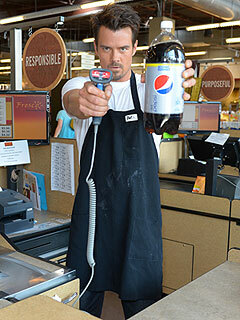 During a Diet Pepsi event on Friday, Duhamel put it all to the test as he manned the cash register, surprising customers who recognized his famous face. “It’s an opportunity to really mess with people. There was a lot of people who didn’t [recognize me], but there was enough that did,” Duhamel, 40, told PEOPLE at the I Got a Diet Pepsi And… campaign in Los Angeles. Aside from his Diet Pepsi partnership, Duhamel has been busy with his acting and will soon wrap work on his upcoming film Strings, which he spent a week filming in Canada. The short work schedule was “ideal” for Duhamel, who prefers to keep things close to home and his wife Fergie, who’s due in late August/early September with the couple’s first child. As the future father gears up for daddy duty, he’s happily embraced the sweeter side of pregnancy – the cravings! – as Fergie attempts to maintain a balanced diet. “She’s really been good. I think that’s why she feels so good. She’s been eating really healthy,” he shares. The proud parents-to-be just revealed that they’re having a boy, but they’re maintaining a code of silence when it comes to their name choice. According to Duhamel, even Fergie’s extended family do not know the moniker – and will not until baby’s big arrival. One thing’s for sure: the little one’s name plays to both Duhamel and Fergie’s senses of style. First it was Camilla hinting that the royal baby will be here by the end of the week. 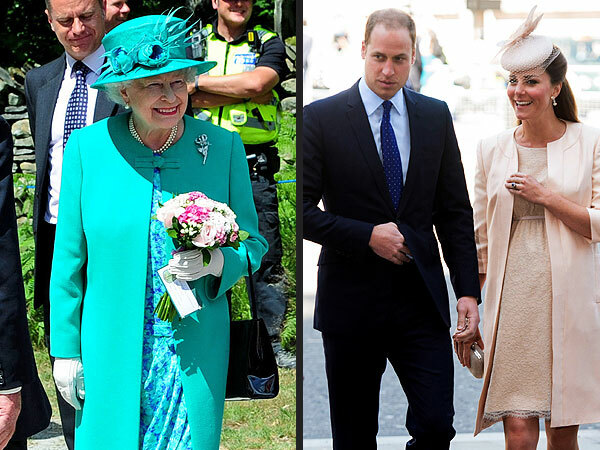 Now, it’s Queen Elizabeth who’s gently nudging mum-to-be Kate, who is expected to give birth any day now. But while her family – and the rest of the world, it seems – hang on for baby news, the couple at the heart of what’s been dubbed the #GreatKateWait on Twitter try to remain cool and calm as temperatures rise amid a London heat wave. Kate is understandably nervous – “tentative,” a source tells PEOPLE – about giving birth. She and Prince William, who’s taken time off work as a helicopter rescue pilot, are spending these final days at Kate’s parents’ home in Bucklebury, according to a source, as well as at Nottingham Cottage in the Kensington Palace compound in London. “It’s hot wherever you are – it’s the same if you’re in Bucklebury or London,” the source says. “It’s not tiny,” the source adds of the couple’s two-bedroom digs in London, and there’s plenty of space to pass the time before the couple head to St. Mary’s hospital in nearby Paddington when the time comes. Until then, the waiting game continues.